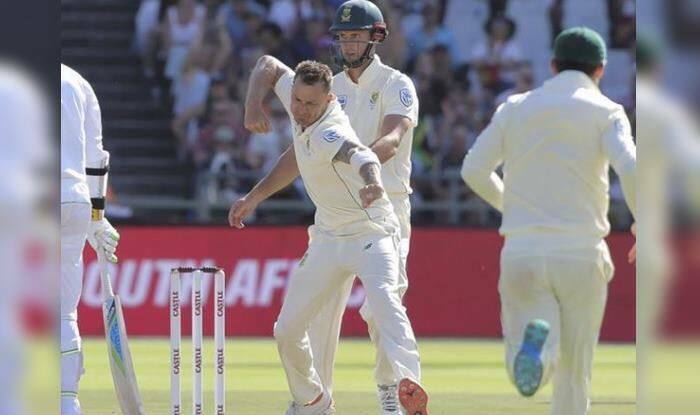 Hinting at the injury concern, South Africa pacer Dale Steyn walked off the field on Day Two of the ongoing third Test against Pakistan but his teammate Duanne Olivier brushed off the concerns saying that "he is perfectly fine". Hinting at the injury concern, South Africa pacer Dale Steyn walked off the field on Day Two of the ongoing third Test against Pakistan but his teammate Duanne Olivier brushed off the concerns saying that “he is perfectly fine”. “He went off to get a bit of treatment and he’s perfectly fine,” ICC quoted Olivier, as saying. “I just try to enjoy every moment, commit every ball and just have fun. To be leading wicket-taker, I’m very happy about that. It’s awesome to bowl at the Wanderers. Any fast bowler would be happy to bowl here,” he said. South Africa are leading the three-match series 2-0 against Pakistan and have maintained a strong position in the third Test as well with a second innings lead of 212 runs at the stumps of Day Two.